If you are a daily user of the internet especially on your mobile device, you may have noticed some changes in the trends of web design these days. The display of the information on the web is now more focused towards providing users with a personalized experience by aggregating pieces of content individually by using ‘cards’. 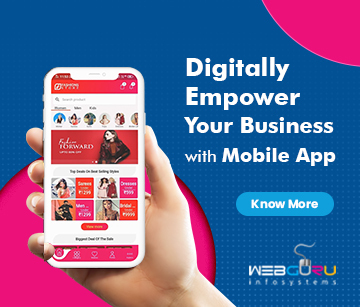 It is increasingly becoming a dominant pattern of mobile web design which assists with efficient delivery of information in a readable format which is extremely easy to navigate simply by using the thumb. The inception of hi-tech mobile devices has allowed users to access all types of information from their mobile devices while on the go. As a result of that, users expect an immersive and fast experience that goes at par with their busy life schedules. This led to information being broken up into various parts based on screen size and the browser. Cards seemed to be the best option to present users with the information they are looking in an attractive and efficient manner. What is the Big Deal about Cards? When it comes to a design model, the evolution of the card design is considered to be critical as it addresses the particular demands of user interfaces on mobile devices in a very effective manner. It’s actually the functionality of the cards with respect to responsive web pages that is slowly adding to their popularity and acceptance. The best part about cards is that they can be easily manipulated. Similar to physical cards, digital cards can also be grouped, sorted, stacked, turned and folded to disclose information in variety of ways. While designing for screens of varying sizes, designers can take full advantage of all these features and make efficient use of content to attract and engage the users. 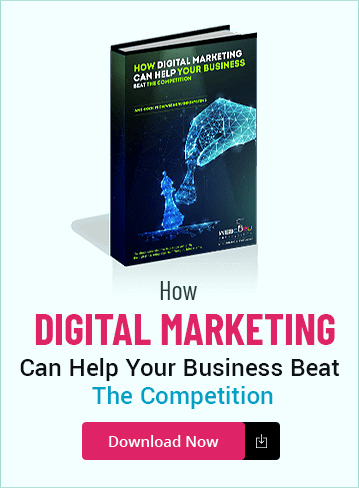 With the rise in the number of mobile users accessing digital content on different social media platforms, it is the need of the hour to provide them with optimized, clear and engaging content across various mobile devices. Cards can easily meet all these requirements and add to the user experience. Some of the big players like Google, Twitter, Facebook, Pinterest, etc. have already embraced this new design pattern. ‘Cards’ launched by Twitter helps users to attach multimedia inline along with their tweets. Google Now makes use of the card design pattern for displaying various types of information contextually. For businesses, mobile devices are expected to play a vital role towards their expansion and popularity over the coming years. Cards can turn out to be the best tools for businesses to provide information that can be easily consumed even on the move. 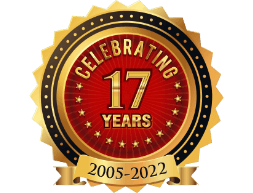 Cards have been in use since a long period of time and their popularity has increased by leaps and bounds over the years. People send greeting cards, birthday cards, etc. to mark special occasions. Starting from debit cards to credit cards to driving license cards, the whole world seems to have developed a liking for cards, be it for communicating information or any other purpose. When it comes to communicating quick stories, cards serve as the perfect medium to provide users with accurate and concise information. 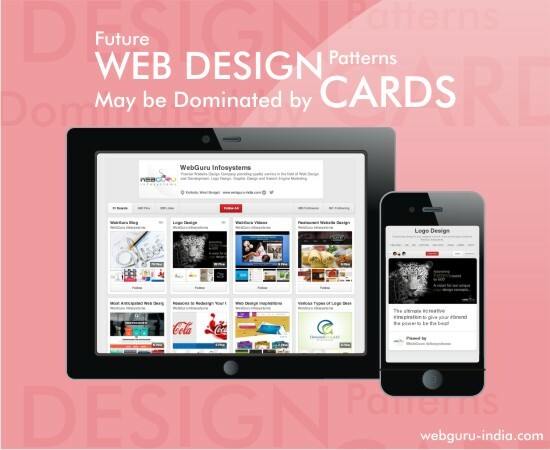 Cards can be used to aggregate various pieces of content to provide a consistent experience to mobile users. Cards can also be used to create a stock portfolio as well as deliver information on travel, weather, lodging, etc. Thus, cards offer endless possibilities to represent information in an eye-catchy yet effective manner. With social media popularity already witnessing a huge surge, content consumption on various social media platforms will become more simple and easy with the card design. Cards are soon expected to be the favorite among marketers to present their stories in exciting and new ways as well as make a global impact with this interesting concept. With the growing popularity of social media, it is expected that more and more number of social media platforms will embrace the card design metaphor for easy content consumption. Cards will surely turn out to be the new creative canvas helping businesses to aggregate pieces of content together and offer users with an enhanced experience.